929563	 LOST	 800 800	 BLACK	 J.Temple	 15633-D 1792 08/08/12	 g/30 865 OCA Elephant Fish Action Tnmt. 929600	 WON	 800 814	 WHITE	 J.Wooden	 15375-N 511 08/08/12	 g/30 865 OCA Elephant Fish Action Tnmt. 929632	 WON	 814 823	 BLACK	 J.Duerson	 15290-W 378 08/08/12	 g/30 865 OCA Elephant Fish Action Tnmt. 929661	 WON	 823 845	 WHITE	 R.Farell	 14695-A 712 08/08/12	 g/30 865 OCA Elephant Fish Action Tnmt. "Joshua Bishard has had more success playing the White pieces. Greater success with White implies the potential for improvement with Black. Concentrate on opening moves for defense. 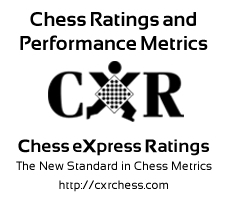 Joshua has faced opponents with an average rating of 952.8. Joshua should seek opponents of equal or greater strength in order to improve. He has improved by 569 points since 2011-12-10. "